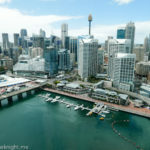 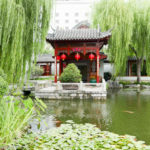 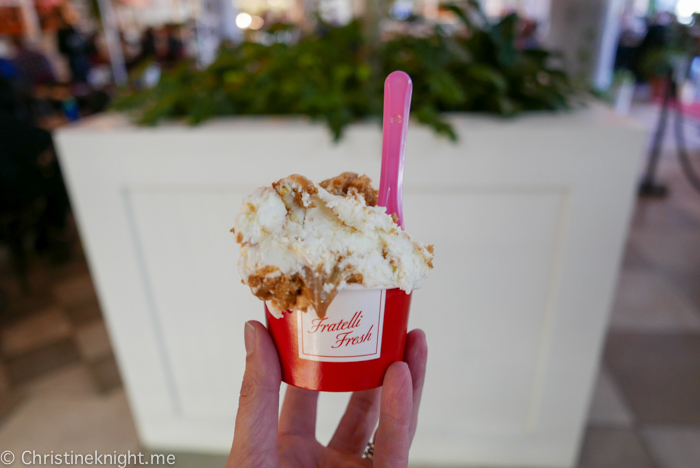 Sydney Restaurants: Fratelli Fresh Darling Harbour - Adventure, baby! 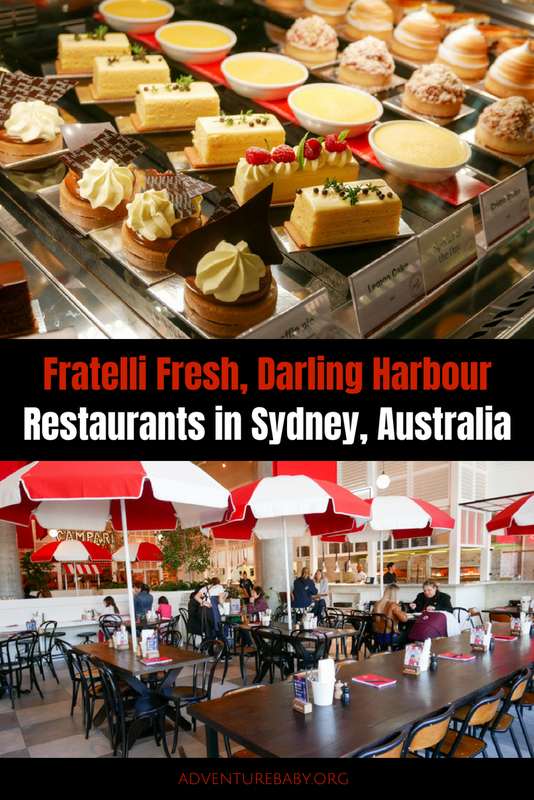 Fratelli Fresh Darling Harbour is the perfect spot for casual dining, particularly with the family. 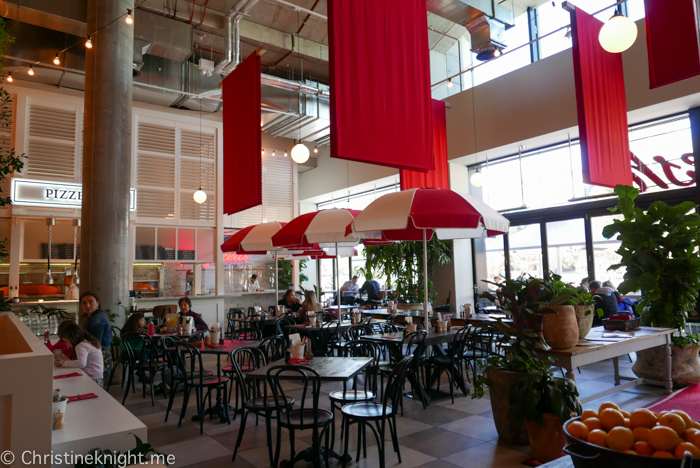 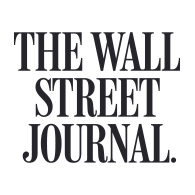 Enjoy vibrant, affordable Italian food and family-friendly menus in a bright, large dining area. 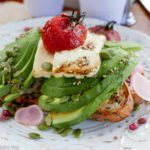 With the tagline: “Fratelli Fresh, A Place For Everyone”, you’d expect no less, and the restaurant offers up delicious food with enough variety to please even the pickiest of eaters. 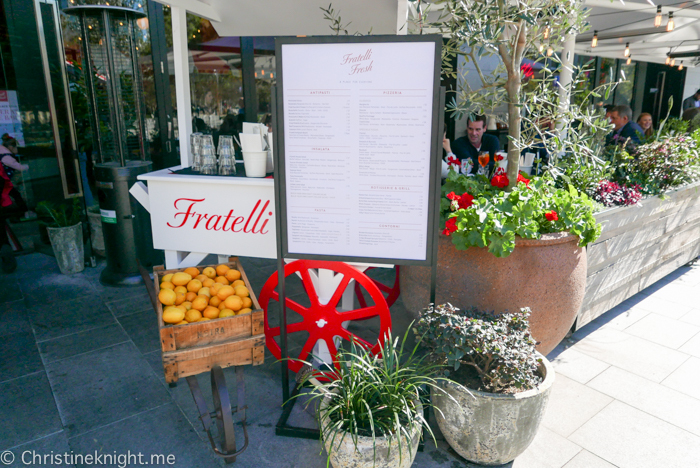 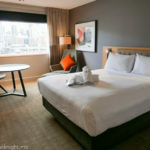 Located directly underneath the ICC building, Fratelli Fresh Darling Harbour is the ideal location for a meal when seeing a show, or visiting the nearby Darling Quarter playground. 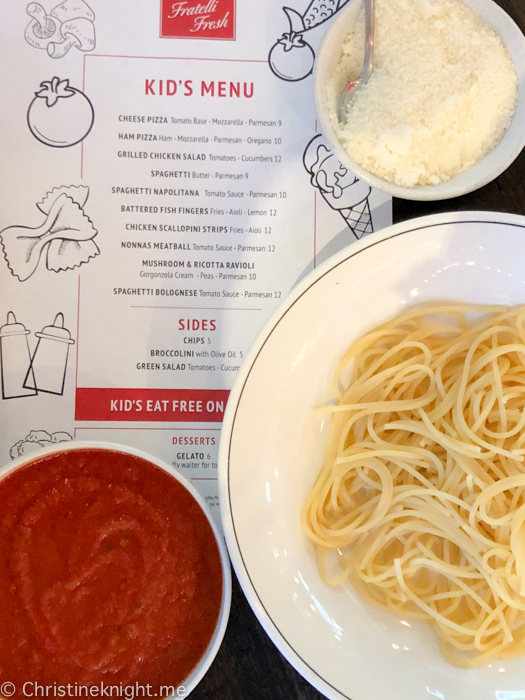 While we were sorely tempted by the hand-tossed Neapolitan pizzas (they looked amazing), we were having a light lunch and chose a build-your-own salad and kids’ pasta. 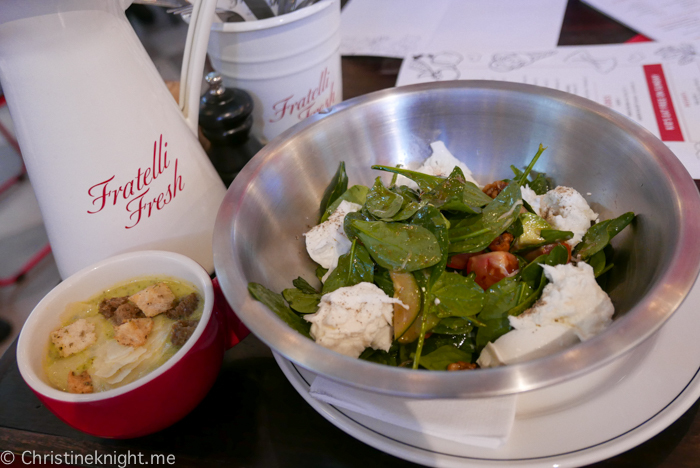 Fratelli Fresh frequently has excellent deals such as kids eat free on Sundays and school holidays, plus daily deals for the adult menu. 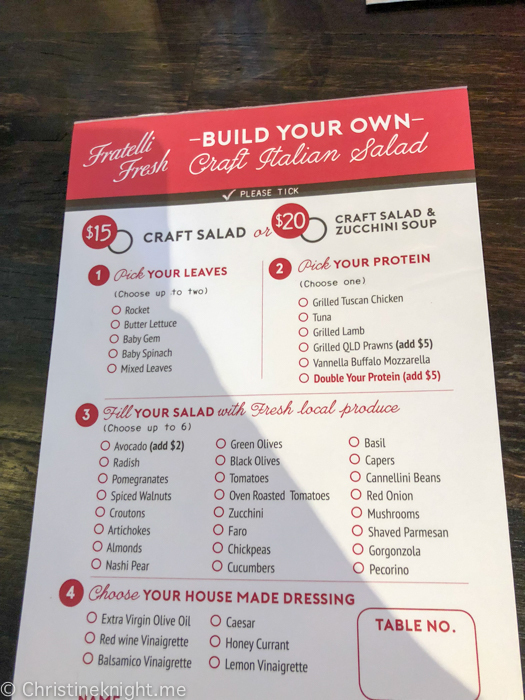 On the day I visited, the build-your-own salad was $10 ($15 with soup) and kids ate free as it was school holidays, so our meal cost only $15. 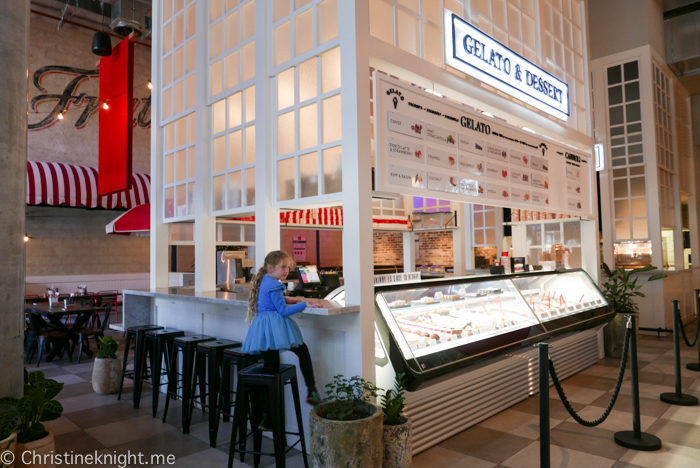 Crazy cheap, especially considering the excellent quality and generous portions. 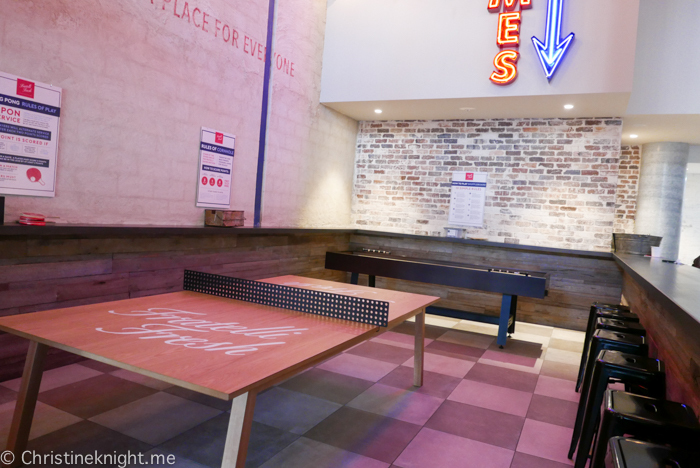 There is a games area that would suit older kids. 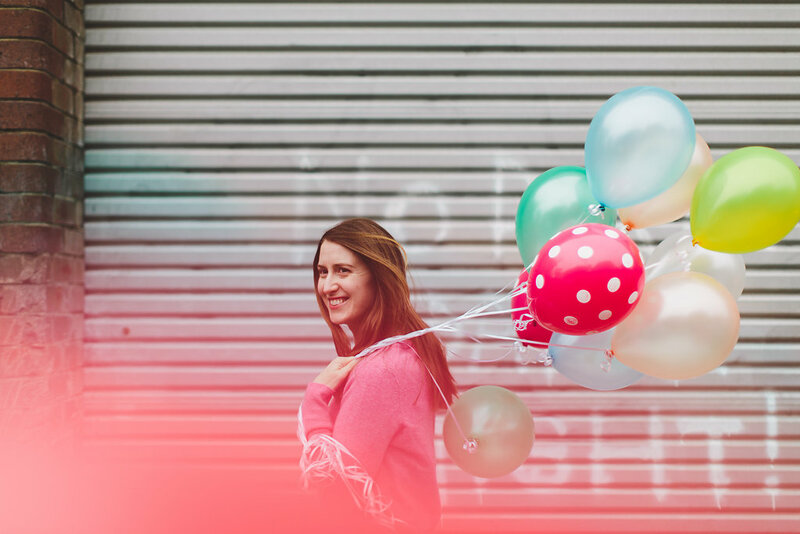 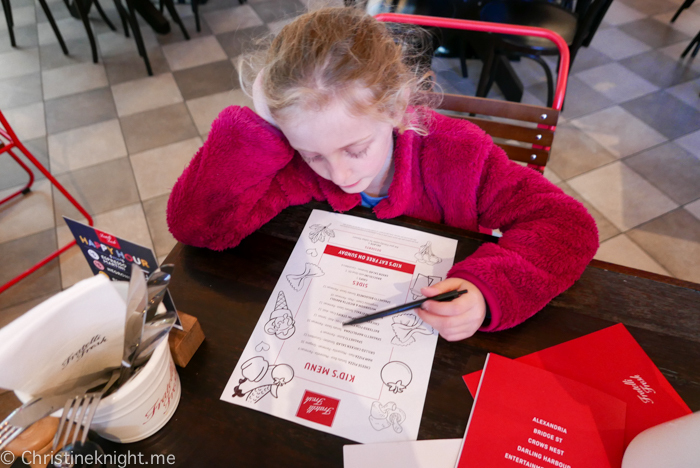 During the school holidays Fratelli Fresh puts on free kids’ activities too, making it a no-brainer in my opinion! 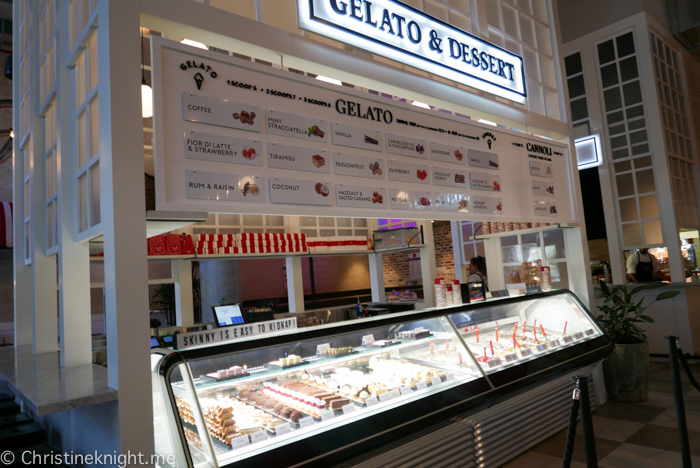 We loved the gelato and dessert bar and indulged with truly delicious gelato after our meal. 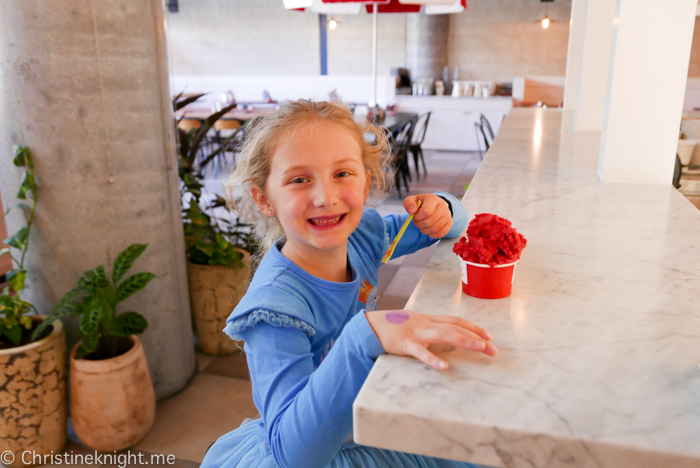 The Darling Quarter playground is only a few steps away, making this our new fave restaurant when visiting the area. 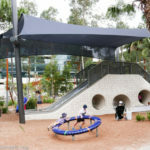 Get more info on the Darling Quarter Playground here.